This little boy needs a family. Look at his smile! Here is some brief info about adopting from Uganda although Salem might have some additional information. J. has Downs Syndrome and is HIV+. He also has some other health issues that will need to be taken care of once he is adopted. I spent a lot of time with this little guy and he is amazing. He is three years old but looks and acts more like a 9-12 month old. He sits up on his own, scoots around on his belly and likes to scoot around in a walker (he can’t actually walk forward but propels himself backward). He has the best smile and loves to cuddle. He really likes standing up now (if you lift him into a standing position) and is gaining strength in his legs. He has an adorable giggle. He isn’t fussy, is generally quite content and happy unless you take his food away before he is finished! 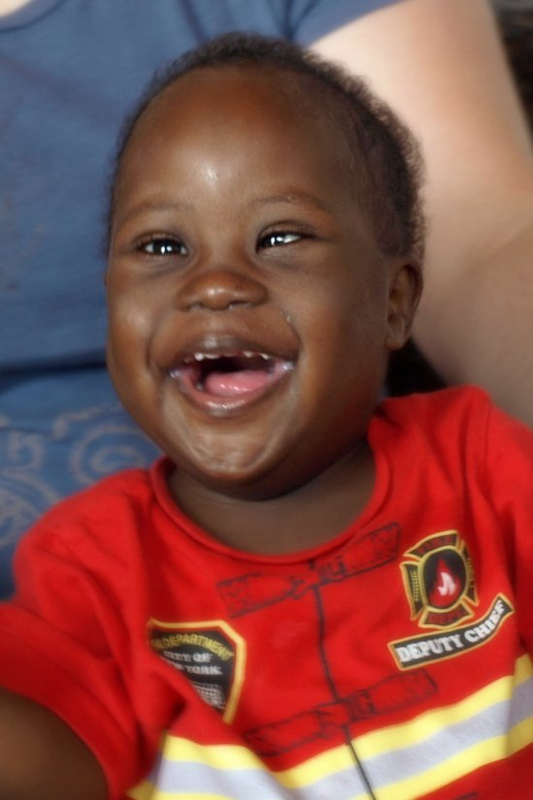 He is living in a wonderful babies home, but really, really needs an adoptive family and access to medical care and therapy. Please let me know if you are interested and I can get you more info and send pictures and video. Feel free to share this with anyone who might be interested.